Ford triumphs again at the What Van? Awards. 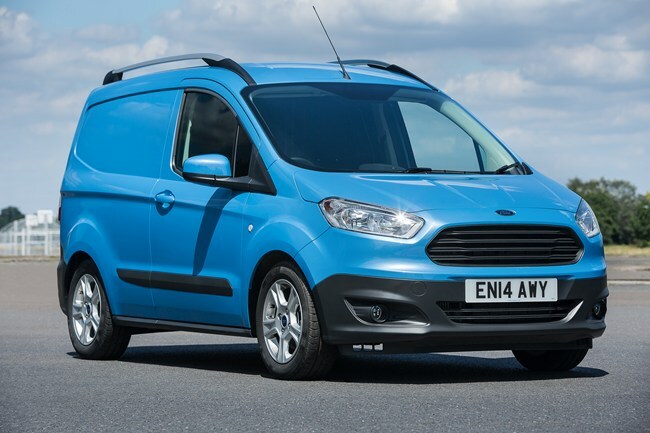 It picked up the coveted What Van of the Year 2015 for its new Ford Transit Courier. The Courier is a new van that’s aimed at businesses who are looking to reduce vehicle sizes to get better value from there transport fleet. It’s aimed at companies that deliver smaller loads in larger vans and offering a more compact van that is more suited to their needs. It’s in the a similar space the the Ford Fiesta Van (which was highly commended in this category) and the Citroen Nemo. It offers payloads of over 660kg, which is similar to a lot of other vans in this category and but it offers a more powerful engine, which makes it stand out from the rest. Plus its fuel efficient and it comes with an optional stop-start system that would help keep fuel costs even lower.